We have an exciting acting workshop, in collaboration with Utkarsh Projects. With award winning Indian Actor Sandeep Kulkarni, Hollywood Producer Norris Preston and South African actor Clint Brinks (of Backstage and Scandal fame). 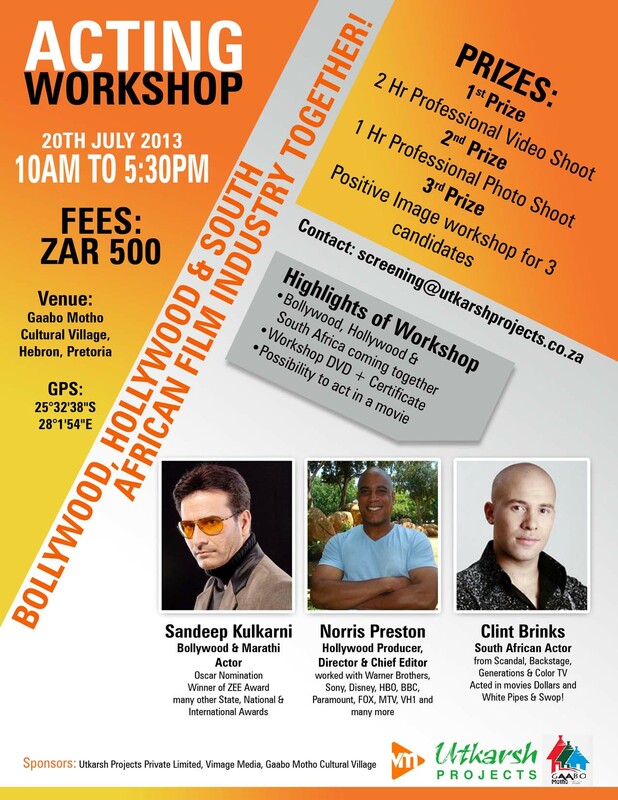 Please do join us for the acting workshop – learn the trade and network with similar individuals. Details on this flyer! Copyright © 2016 Vimage Media. All rights reserved.